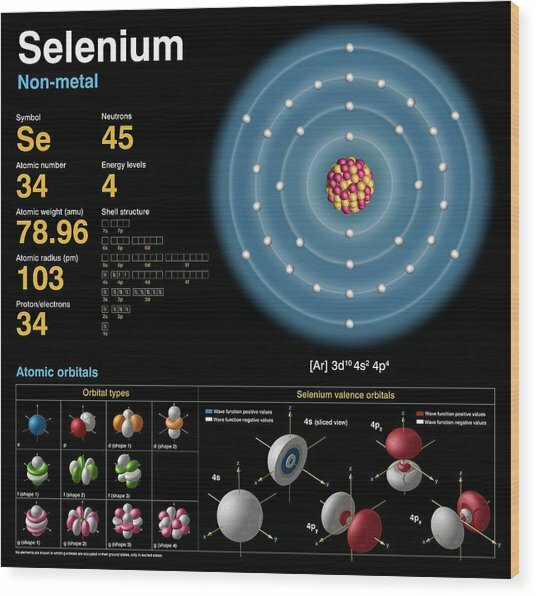 Selenium is a photograph by Carlos Clarivan which was uploaded on July 24th, 2016. 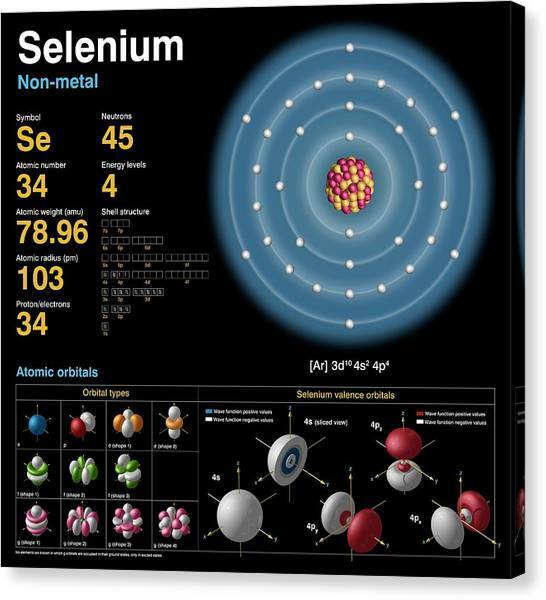 Selenium (Se). 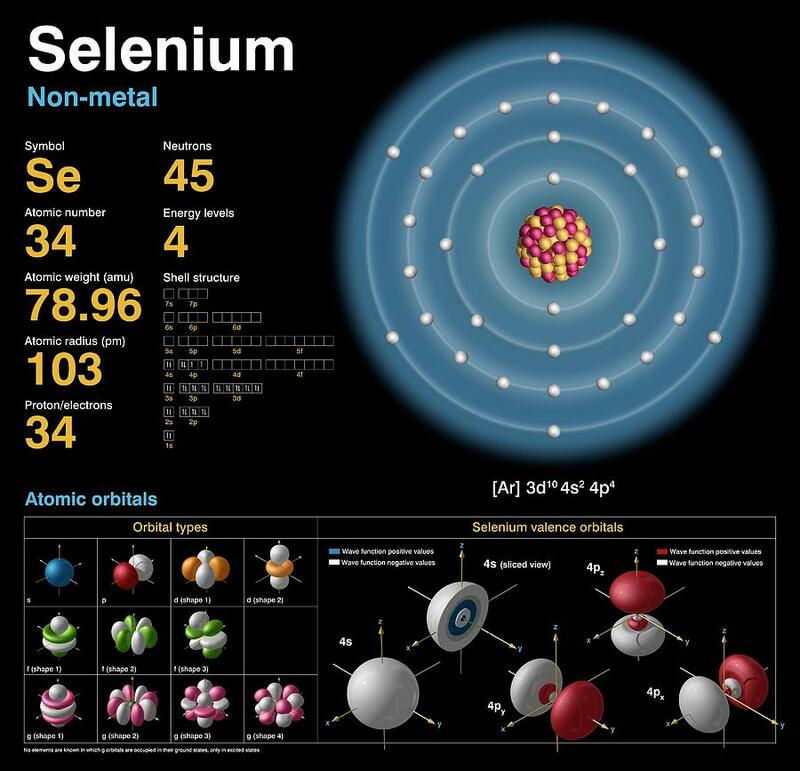 Diagram of the nuclear composition, electron configuration, chemical data, and valence orbitals of an atom of selenium-79 (atomic number: 34), an isotope of this element. 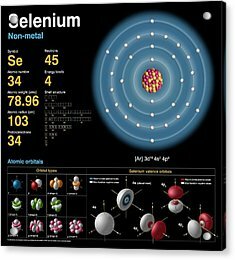 The nucleus consists of 34 protons (red) and 45 neutrons (orange). 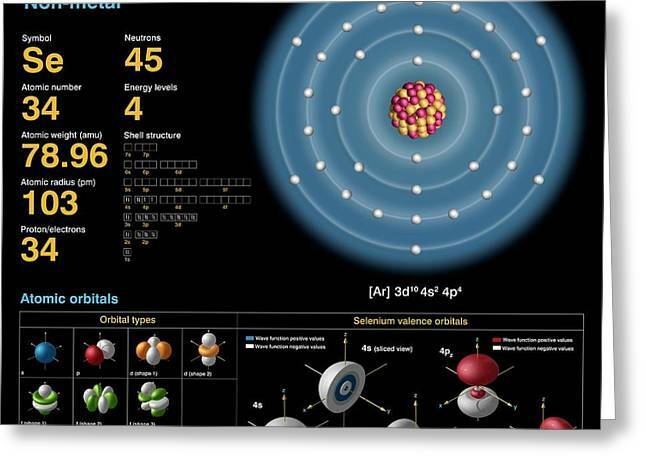 34 electrons (white) successively occupy available electron shells (rings). 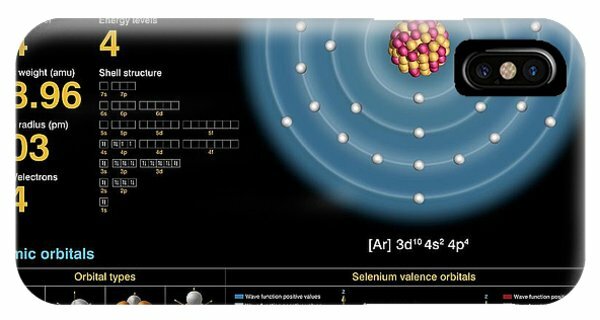 The stability of an element's outer (valence) electrons determines its chemical and physical properties. 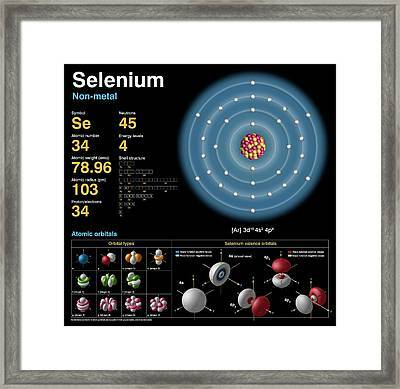 A solid non-metal, selenium is in group 16, period 4, and the p-block of the periodic table. Used in early semiconductors, it is a trace mineral required in the diet. The two most common allotropes are a black form and a red form. 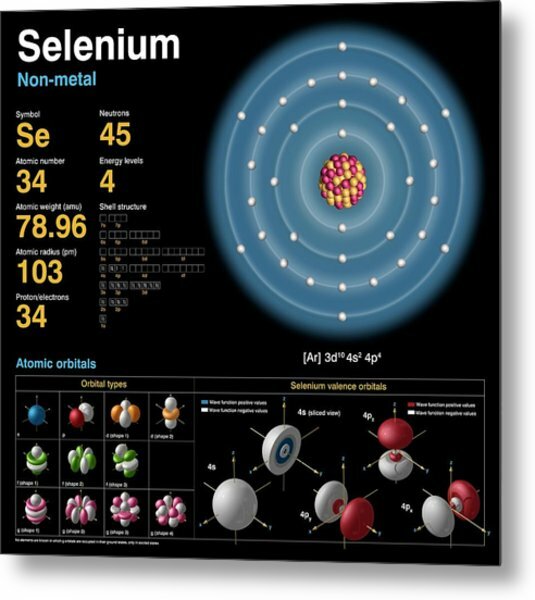 There are no comments for Selenium. Click here to post the first comment.